Airbnb - Wester Inshes, Inverness - booked the night before. Breakfast - Fruit bagels with coffee. Not enough food to last until dinner. Lunch - Dram of Dalwhinnie whisky (only for passenger) and Werthers Original Butterscotch sweets/lollies (1 bag between 2 people lasts 1-2 days). Dinner - Pizza at Johnnie Fox in Inverness. Disappointing food and service. Day 1 started off at a relaxing pace. We assembled some of our gear the night before but mostly relied on a checklist the morning we left. We packed the car and went to the local supermarket to buy some food and camping essentials. We fuelled up and headed off at 1 pm to start our epic Scotland road-trip. As we crossed Glasgow’s River Clyde the sun was blazing. 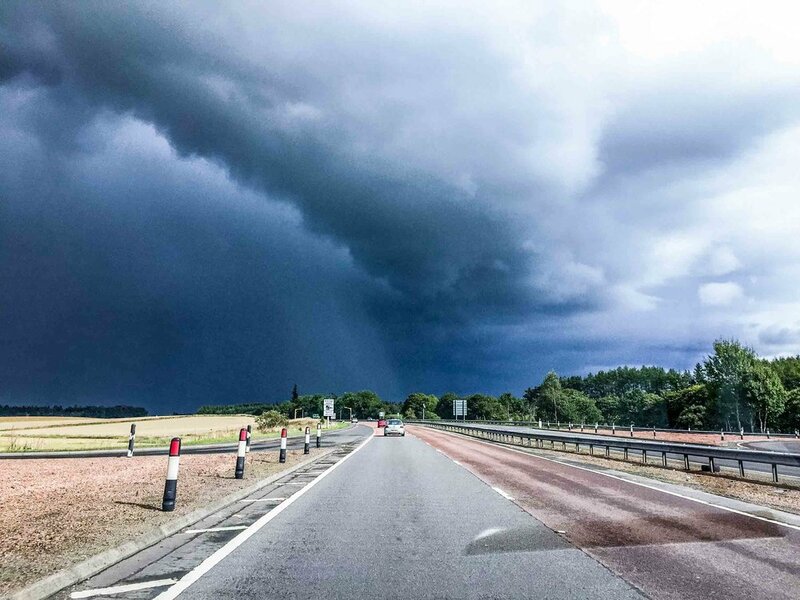 As we approached Stirling, the clouds closed in and before long the rain started. We were familiar with this area so the only stop we made between Glasgow and Inverness was at the Dalwhinnie Distillery. The passenger got to enjoy a dram of fine Speyside whisky. Yes, the driver was jealous. Dalwhinnie Single Malt whisky is a Speyside whisky made at Scotland's highest-elevation distillery. At an altitude of 351 m, it is one of the coldest villages in the UK with an average annual temperature of about 6C. 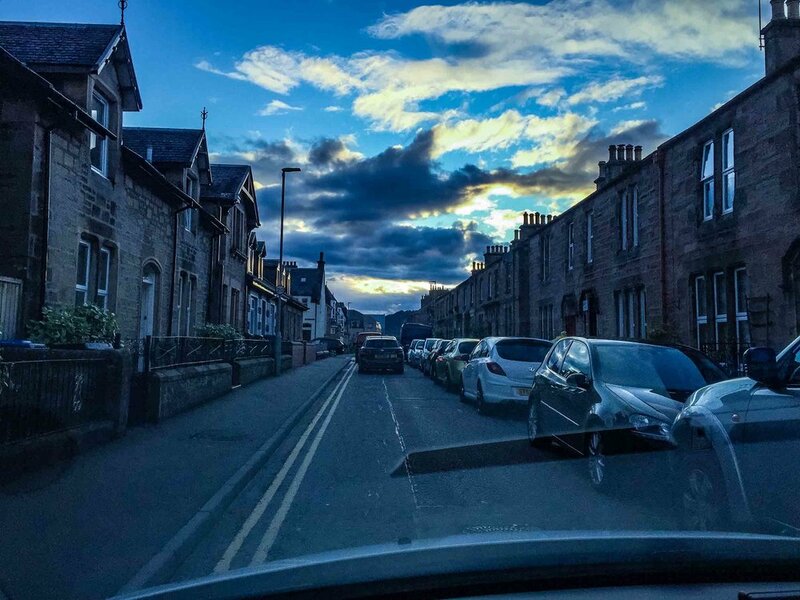 We drove into Inverness and arrived at our Airbnb property by 5 pm. After feeling the bed (bed-rock), we looked at each other and unpacked our sleeping bags to prepare for a night of glamping on the couch. We drove into the city and walked up the hill to Inverness Castle with its wonderful view. We then strolled across the bridges that cross the River Ness on our way to dinner. Before driving back to our accommodation, we stopped into the M & S supermarket to buy desert and breakfast makings. We moved to Glasgow in 2016 and love living here. 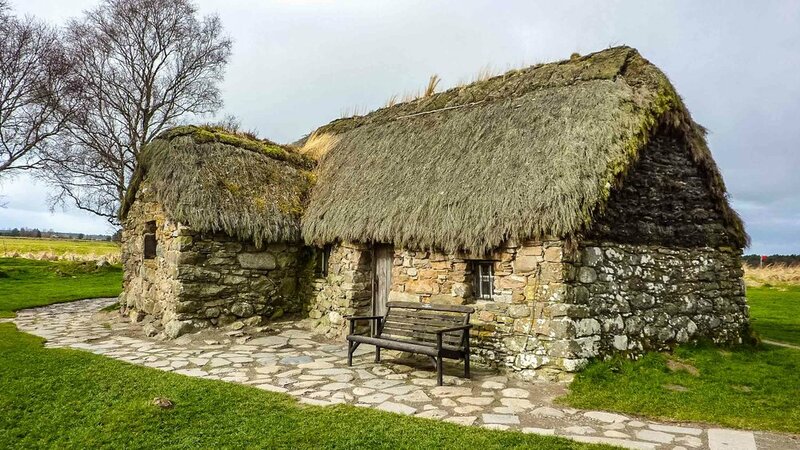 It’s a fantastic base to explore Scotland from. Read more about Glasgow history and attractions. It may not be Scotland’s geographic capital city but it is the largest city in Scotland the the third-largest in the UK after London and Birmingham. 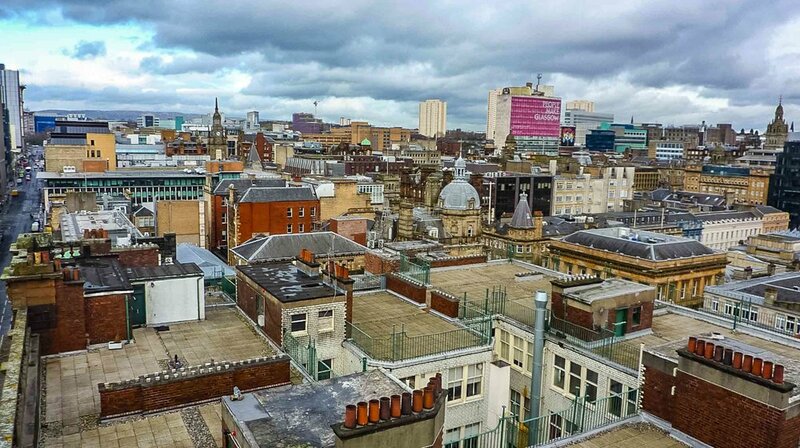 Glasgow City seen from the Lighthouse - a Charles Rennie Mackintosh building in Mitchell Lane. Scotland’s capital city Edinburgh is one of the most beautiful cities in the UK. Its rich history and vibrant arts and entertainment scene is a little over an hour away from Glasgow. A visit to Edinburgh Castle and Old Town is a must-do. Edinburgh from Calton Hill - Old Town in the background with Edinburgh Castle on the hill to the right. 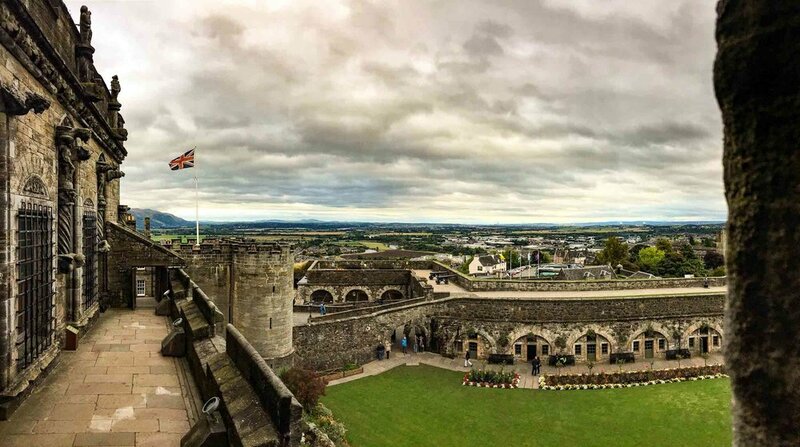 Home to some of the most defining and dramatic moments in Scotland's history including Sir Robert the Bruce’s victory in the Battle of Bannockburn near Stirling Castle (my absolute favourite castle in Scotland). The Park is 1,865 sq km (720 sq miles) and has a boundary length of 350km (220miles). There are 21 Munros (mountains above 3,000ft) in the Park and the highest is Ben More at 1,174m. There are 20 Corbetts (mountains between 2,500ft and 3,000ft). There are 22 larger lochs, with numerous smaller lochs and lochans, and about 50 rivers and large burns. The National Park contains one of the UK’s largest National Nature Reserves – The Great Trossachs Forest. Running through Perth is the River Tay. Playground to beavers and otters, it is the longest river in Scotland and the seventh-longest in the UK. In the 12th century Perth was considered the capital of Scotland, then keeper of the Stone of Destiny used to crown the King of Scots. Sitting on the Highland railway line, Pitlochry has spectacular scenery, including Faskally Woodlands, Loch Tummel, Black Spout Waterfall and Ben Vrakie. It is also home to the Blair Atholl Distillery and Blair Castle and Gardens. Hand-feed one of the 150 free-ranging Cairngorm Reindeers (April to December), the largest in the UK. Ride the CairnGorm Mountain Railway, the UK's highest funicular railway. It takes you up the UK's 6th highest mountain (1097m above sea level) where you can have lunch at the UK's highest restaurant. Visit the Rothiemurchus Centre. Described by Sir David Attenborough as one of the glories of wild Scotland, it has been loved and cared for almost 500 years by generations of the Grant family. See Osprey, highland cows, pine martens, honey badgers and deer. Ride a Segway, quad bike or a pony. Try your hand at clay target shooting, archery, and water sports galore including gorge walking and swimming. Outlander fans will immediately recognise this location. The Culloden Battlefield and Visitor Centre powerfully depicts the final moments of the Jacobite Rising. It is estimated that 1500-2000 Jacobites were killed or wounded during the Battle of Culloden in 1746. In contrast, 300 of those who fought on the side of the British government met with a similar fate. The nearby Clava Cairns and Culloden Viaduct are also worth a visit.